Why Do Single Use Plastic Bag Bans Fail? Single use plastic bag bans make so much sense from an environmental perspective since they reduce use of fossil fuels, reduce the eyesore that is litter, and protect animals and their habitats from stray plastic bags and their pieces that can easily be mistaken for food or entangle an animal, ending its life. Large chains and small local retailers also spend a substantial amount of money of these disposable nuisances, so implementing a ban saves retailers money, and that cost savings should be reflected in their prices. Despite the best of intentions though, sometime plastic bag bans fail. If you are considering starting a bag ban in your town, you will want to avoid making the same mistakes other towns have made whose bans have failed. 1. Lack of Preparedness – There is so much work that has to happen before you can even launch a serious public discussion about a plastic bag ban that you need to educate yourself about the drawbacks of plastic bags and the advantages of banning bags. You need to create a solid campaign that will relay this information to the community and your local policy makers. It is also worth considering whether a bag fee is a better fit for your town – sometimes reducing the use of disposable bags through a fee designed to discourage their use is the best and most feasible solution. Research is not always fun and it is definitely not glamorous, but taking the time to prepare, sets your bag ban up for success. All of this legwork does not happen overnight. Sometimes plastic bag bans take years to get going. 2. Not Enough Support – There are people in every community who oppose plastic bag bans. That’s fine. A bag ban will not please everyone, but you need to get a majority of the residents and business owners interested in the idea. Level with people so they understand what is at stake and explain how easy it is to get into the habit of bringing reusable grocery bags to the store. Many successful bag ban campaigns include outreach programs to explain to residents the environmental impacts of plastic bags and to help prepare local businesses for life without disposable bags. 3. Legal Loopholes – Partner with your local representatives and best case with your town’s council when it comes time to draft the actual ordinance or law. Drafting laws can be tricky, so it is best to leave that task to people who have experience creating legal documents. In 2007 Oakland, California passed a plastic bag ban, but a plastics trade organization levied a lawsuit and when the issue went to court a judge sided with the plastics trade organization and Oakland’s ban was out. Other cities and towns have learned from Oakland’s example and draft laws that are better able to withstand opposition. As of today Oakland still does not have a ban. 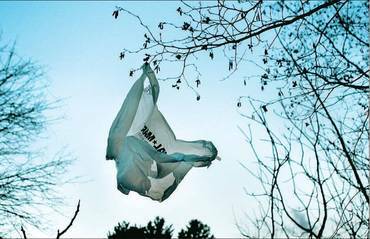 Banning plastic bags in your hometown is completely possible. You just need to plan, organize, continue to work toward your goal and do not get discouraged if things do not go as planned. Make sure to bring on like-minded and dependable folks to help you out and shoulder some of the work. Stay positive and motivated and take care to not fall into the unfortunately all too common pitfalls of being underprepared, not gaining enough support and leaving the ban susceptible to legal attack. You can find out more about bag bans, bag fees and failed bag bans on our interactive Bag Ban Map Page.